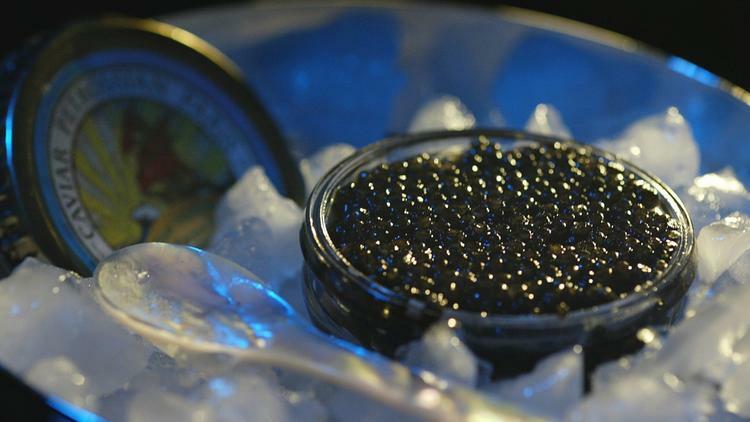 Eat luxurious caviar and save the sturgeon: Vivace Caviar!! Her company is very distinct from any other aquaculture caviar production. As the sturgeon is not killed when retrieving the caviar, the acquaculture raised fish may be reintroduced into the wild, if one day this is necessary to replenish wild populations. For the consumer her method is a very luxurious experience. The older the sturgeon the bigger and tastier the fish eggs. In fact, when you buy a dose of caviar from vivace, it says on the packaging how often the sturgeon has already given eggs. After harvest eggs are treated with male semon extract in order to harden the eggs shell. Even though it is unusual for any caviar lover, it is very favourable for the taste and texture. And, last but not least, her aquaculture system is really a state of the art – antibiotics are mostly avoided and given only in cases of emergence – with appropriate measures to avoid them being adsorbed by humans (e.g. not harvesting treated fish). Next PostOn the spotlight: Worldwide Berlin!